A new study says that taking calcium supplements without vitamin D might be associated with a 20 to 30% increased risk of heart attack. Calcium supplements prescribed for treatment and prevention of osteoporosis might have to be reassessed. 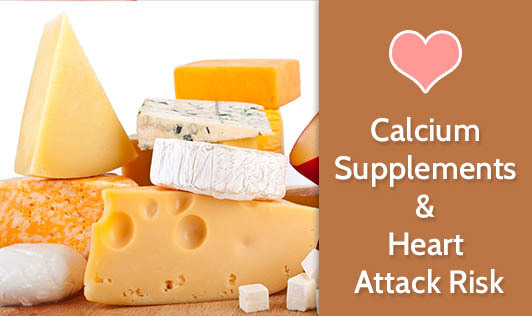 Experts say that intake of calcium in supplement form rapidly increases blood calcium levels and might contribute to artery disease. However, calcium taken through food sources is absorbed much more slowly. In my opinion, calcium supplements are required only for those who are deficient in calcium. The others can get calcium naturally through calcium-rich foods like dairy, leafy greens, fish, soybean, almonds, sunflower seeds. Combined with exercise and a daily dose of sunshine, your bones can be in good health.